To herald the arrival of a selection of top titles to the Windows Phone 7 Xbox LIVE platform during May and June, Microsoft launched the “Must Have Games” promotion, in which top new titles were released each week from an impressive list that included Plants vs Zombies, Angry Birds and Sonic the Hedgehog. 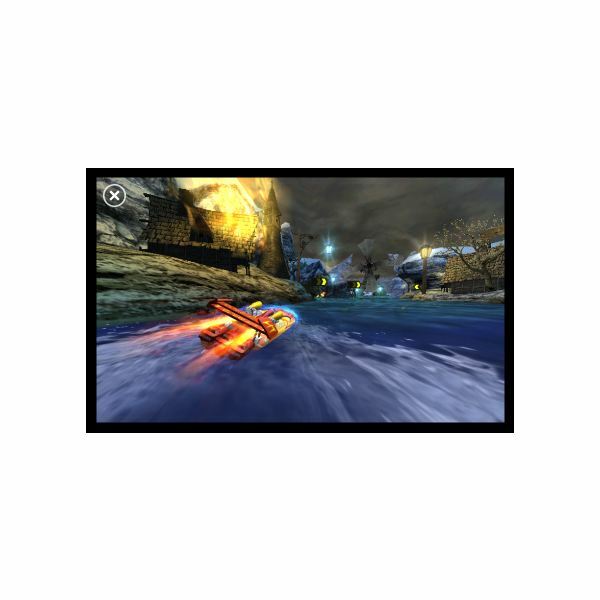 Joining them is this retro boat racer, Hydro Thunder GO, an attractive looking game where the single aim is to win races, upgrade your boat and be the best. As with the other Xbox LIVE titles, the game features unlockable achievements that contribute to a Gamerscore, thereby offering a good reason to replay the game after completion if you enjoy it. 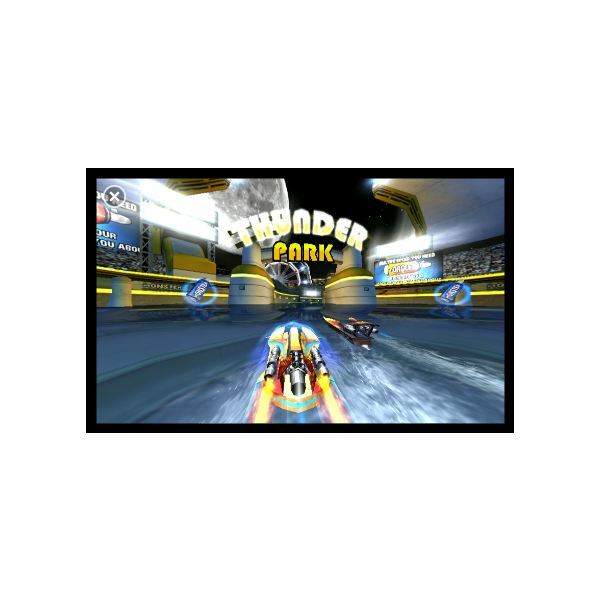 The original Hydro Thunder game could be found in arcades around North America and Europe in the 1990s and eventually made it to the Sega Dreamcast home gaming platform in 1999, before being ported to Sony PlayStation and Nintendo 64 in 2000. 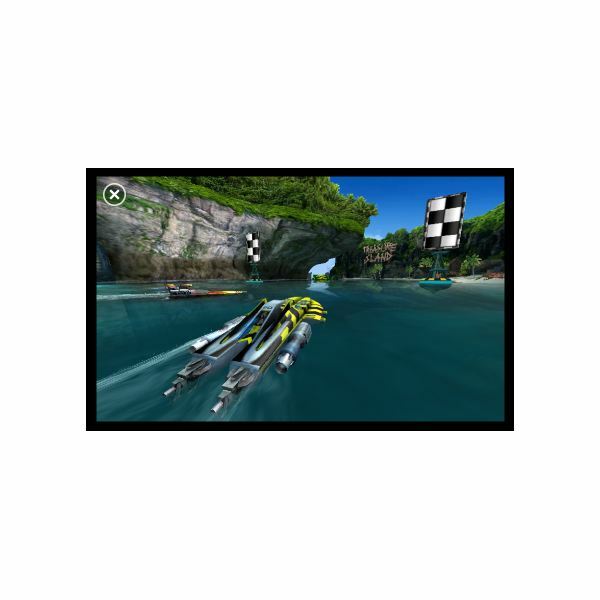 Pitching the player into a high tech boat race against well-equipped opponents around various dangerous courses, the game has remained a popular title and has subsequently been released (both as the original and one of its many sequels) on Windows, PlayStation 2, Xbox and Gamecube. 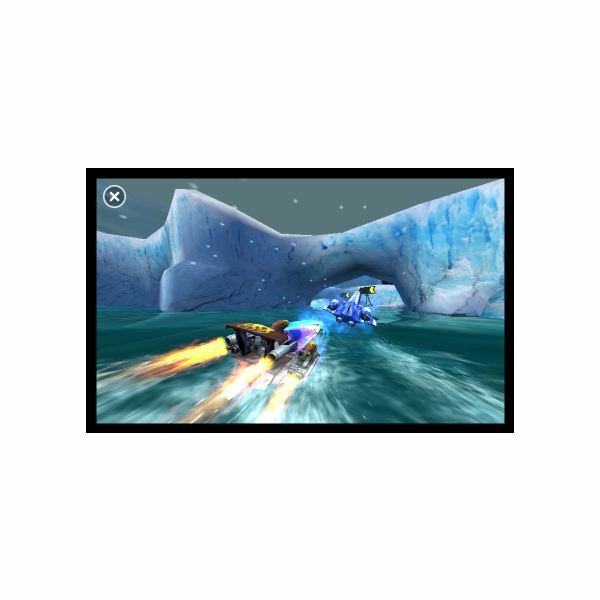 After launching on Xbox LIVE in 2010, the game has since downsized to the Windows Phone 7 platform. Here the game pretty much remains the same, with boats guided around courses set in a variety of increasingly bizarre landscapes against NPC opposition. Getting from the back of the course – the default position when starting a race – to the front of the pack requires skill. You'll need to tilt your phone to control your boat, slide the accelerator as needed and take advantage of bonuses left along the course. There's also the boost feature that gives you a turbo when needed and also strengthens your boat’s hull – ideal for pushing competitors out of the way. Different control options are available, but the motion control works much better than the on-screen gamepad. There is more to Hydro Thunder GO than just racing, however. New boats are available as you proceed to win more races, with points allocated for first, second and third position enabling you to choose from up to 12 craft. A bonus level is also available after you have completed the standard tracks — the Hydro Blaze level tests your skills on a special additional track. Incidentally, Hydro Thunder GO would make an excellent multiplayer game over Wi-Fi or Bluetooth when Microsoft decide to introduce this feature. With any racing game, the focus of the graphics needs to be on creating the impression of speed, and the developers of this game have got this aspect pretty much spot-on. As you can see from the accompanying screenshot, the boat graphics are great and the course backdrops are attractive, but the game is particularly successful in giving you the feeling that you’re racing, that different speeds are available and that a mistake will be costly. Meanwhile, the soundtrack presses along with music in the menus and engines and a commentary during the race which really builds the atmosphere. You really have to experience the graphics and sound on Hydro Thunder GO – they’re perfect! Pricing continues to be a contentious issue on Xbox LIVE titles for Windows Phone 7, but given the quality on display in Hydro Thunder GO the tariff for this game might not seem too high. There are more expensive games, after all, and with the thrill of racing, the choice of boats and the achievements, while £3.99 (UK price; the US price is similarly pitched) might seem expensive compared to a non-Xbox LIVE title, this is a good deal, and a better one than most. There is little to find fault with in Hydro Thunder GO. Levels crack along at a fair old pace, the graphics are clear and the gameplay and control mechanism is largely successful. Even the price point is acceptable compared with some of the more vain releases that think they’re worth much more. Hydro Thunder GO doesn’t attempt to be anything more than it is – an update of a popular retro boat racing game that has been overhauled with great graphics, a good sound track and plenty of options and features. As “must have games” go, this is one that you should definitely have on Windows Phone 7! 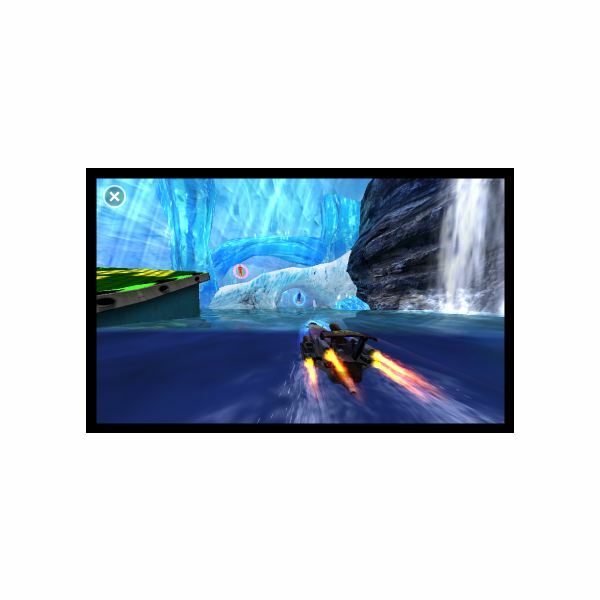 All screenshots and references from Hydro Thunder GO for Windows Phone, available exclusively from the Windows Phone Marketplace. Drag Racing for Android Walkthrough: A Simple Way to Beat the Game!